For a child with vision related learning difficulties, the first step may never have happened; making it hard to read and impossible to comprehend and learn. As a part of our therapy program, we build our patient’s skills up from the ground level. We teach the eyes how to function alone, then as a team, then involve more difficult skills such as visualization and visual memory. Both fine and gross motor are also incorporated. By the end of our individualized therapy program, the patient has all of the necessary tools in their vision skills toolbox, as well as the knowledge and self awareness to know when to use a specific tool they have now gained! 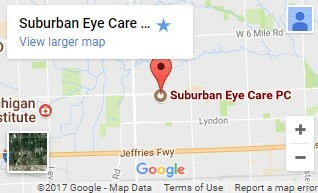 If your child is not achieving her academic potential, have her evaluated by a developmental optometrist like our very own Dr. Jacobi. Most optometrists only check distance sight, but children spend the majority of their time looking up close while reading and writing. 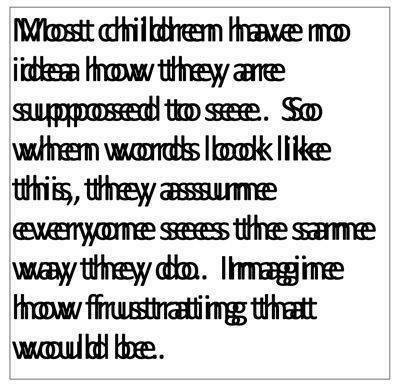 This is why so many vision related learning difficulties go undiagnosed or misdiagnosed.